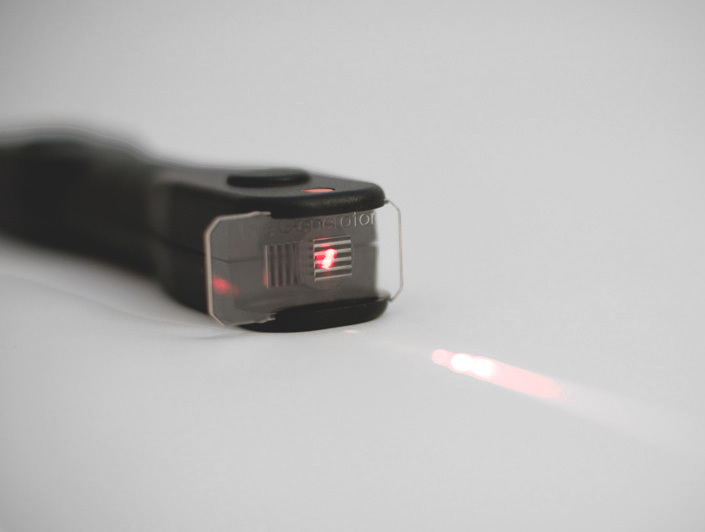 Laser Blox can be used separately, just like a laser pointer, but with a sturdy, "no roll" design and a press and stay on/off switch for hands free use. Or, snap in a simple lens and the beam path becomes visible as it encounters mirrors and lenses ,and other boundaries.Stack and stick three Laser Blox together to create a Ray Box for even more flexibility and versatility. Perform dozens of labs, lessons and activities around reflection,refraction, diffraction and interference. Calculate Snell's Law,the speed of light and more with Laser Blox! 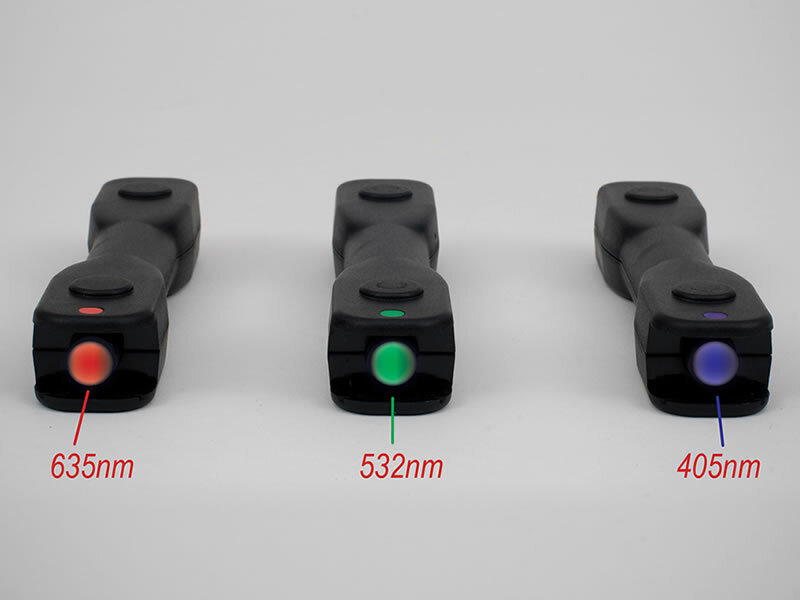 LASER Blox come in 3, classroom safe, wavelengths (635nm/red, 532nm/green and 405nm/violet). Each comes with 2 AAA batteries, a line generating lens, and a durable snap foam case for storage. 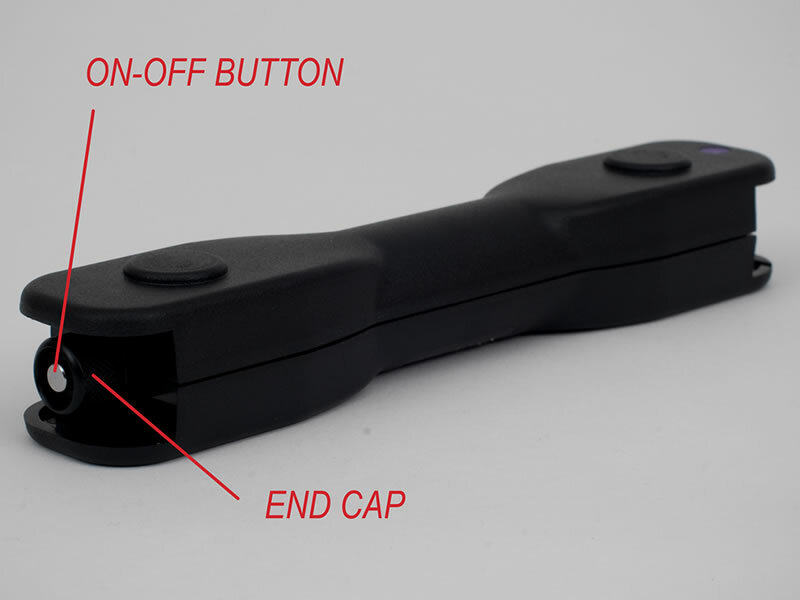 Install 2 AAA batteries (included) in each unit by unscrewing the cap at the back of the unit. For hands-free operation, turn Laser Blox ON by pressing the button at the back of the unit.Pressagain to turn off. To switch from a point source to a visible beam for ray tracing,insert the clear lens into the front of the unit as shown. 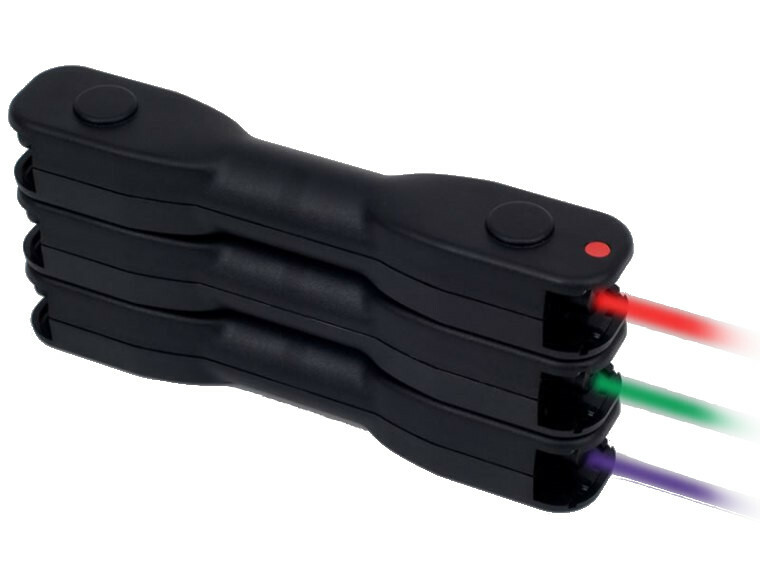 Individual Units, in 635nm Red, 532nm Green and 405nm let you choose which wavelength you need for any given lab or activity - or you can compare various wavelengths. Red is standard,Green is the most visible and Violet is very close to the UV range and best suited for investigating fluorescence and light of high energy and very short wavelength. With the Line Lens Inserted, you can easily view the beam path as you and your students explore geometric optics: reflection and refraction. Easy viewing of the beam path makes measuring and calculating quick and easy. Remove the Line Lens and you have a point source laser for investigating diffraction and interference. Mix, match and stack, units of the same or various wavelengths to double your value by creating a ray box with multiple parallel beams for studying geometric optics. 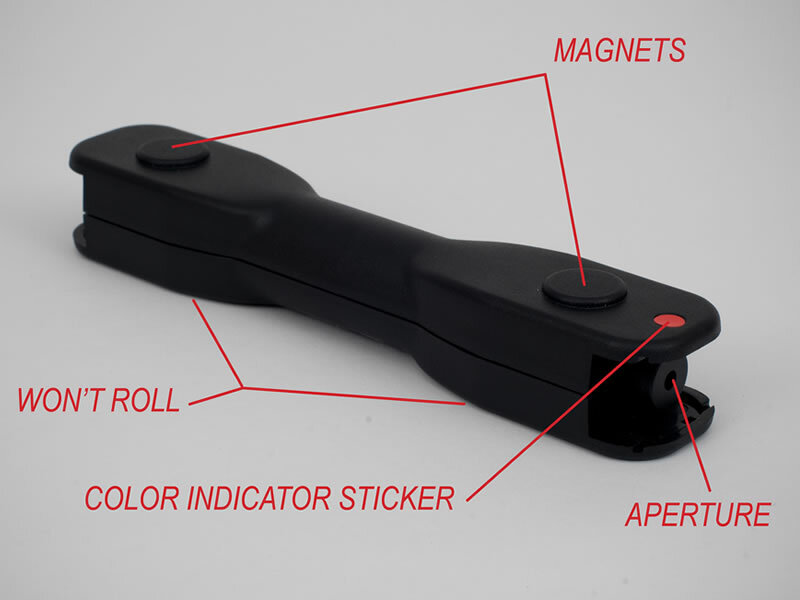 Units securely snap and stay together with strong magnets. The on-off switch and sturdy no-roll design allows for hands-free operation of one or more units at a time with no fuss or frustration.